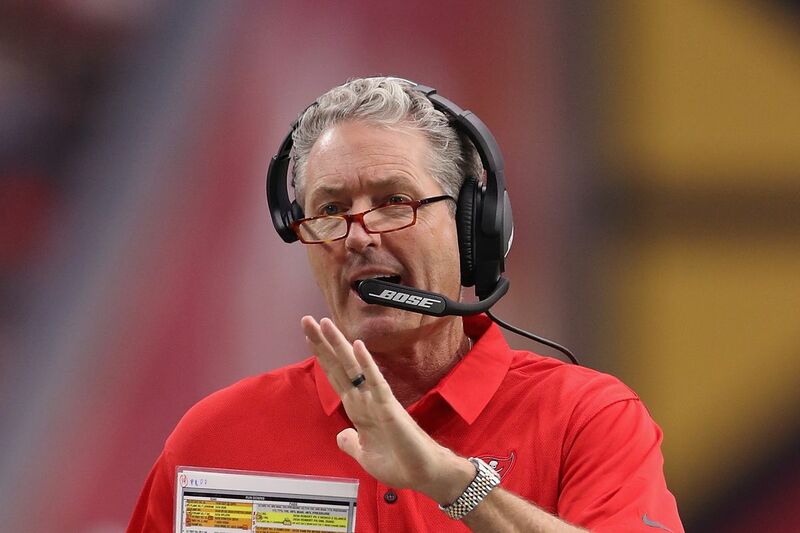 Dirk Koetter has been able to rise to the position of head coach of a National Football League team after having spent a number of years as offensive coordinator, although he originally began in the position for a high school team. The two-time Big West Coach of the Year and Big West championship winner is looking to replicate such levels of success with the Tampa Bay Buccaneers who he began coaching in 2016. Koetter was born Dirk Jeffrey Koetter to Barbara and Jim Koetter on the 5th of February 1959 in Pocatello, Idaho where he was raised. He attended Highland High School where he played football and was the star quarterback of the team. After leaving high school, he enrolled at Idaho State University where he continued to play the game. Koetter later graduated with a bachelor’s degree in 1981 but did not become a professional footballer. It is not clear if he intentionally chose to not enter the NFL or if he was not good enough to be picked up by any team. Koetter, however, returned to school immediately and got a master’s degree in Athletic Administration in 1982, and by the following year, he started his coaching career at his alma mater. After leaving his position at Arizona, Dirk Koetter made the big step of entering the NFL after he accepted an offer to become the offensive coordinator for the Jacksonville Jaguars. He took the job in 2007 and his impact was immediately felt as the team set franchise records for total points scored and yards gained as the side managed an 11-5 record. Koetter spent five years with the Jaguars before leaving to join the Atlanta Falcons in the same capacity as offensive coordinator. After two years in Atlanta, he moved to the Tampa Bay Buccaneers in 2015. He held the position of offensive coordinator for a year before finally getting the nod to become head coach following the firing of his boss. In 2016, his first year as Buccaneers coach, the team managed a 9-7 record, barely missing out on the playoffs. The following campaign was, however, a poor one as his team fell to a 5-11 record. The highest paid coaches in the NFL earn around $8 million annually. Even though Dirk Koetter’s salary has not been revealed to the public, the Buccaneers head coach, who agreed to a five-year deal when he took the position in January 2016 following the firing of Lovie Smith, definitely has a long way to go before he is able to rake in such huge amounts to rank among coaches like Pete Carroll, Bill Belichick, and Sean Payton. Dirk Koetter has been married for three decades. He was introduced to his wife, Kimberly Ann Koetter, by former Idaho State linebacker coach Marvin Lewis, in the 1980s, while he was coaching at Highland High School. Kim, as she is fondly called by her peers, was at the time a volleyball player at Idaho State. The two eventually exchanged vows at a small ceremony sometime in 1988, where their matchmakers’ daughter served as the flower girl.